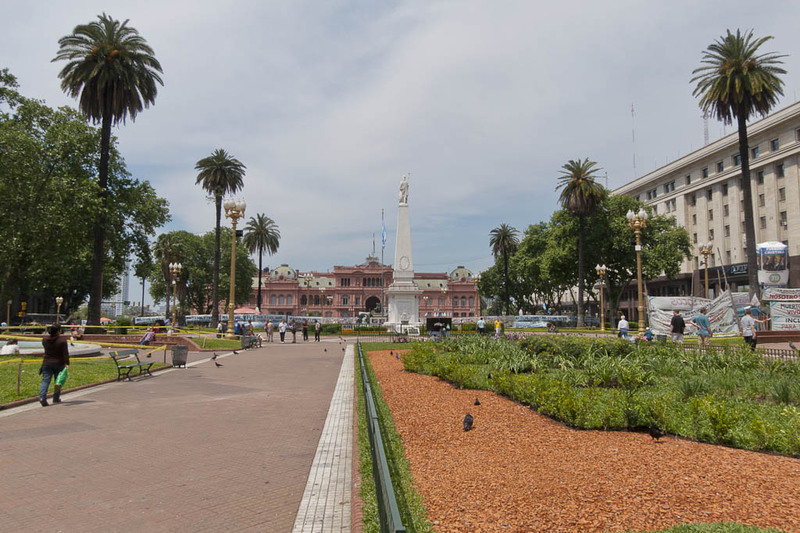 We took the ferry from Colonia del Sacremento back to Buenos Aires. Since we didn’t get to see too much of the city the first time we were there, we felt we owed it to BA to explore some of it’s beautiful parts. We only had two more days but we were not disappointed. We stayed at the same hostel, Terrazas Estoril because on Thursday evenings they host a huge asado complete with live tango music. And since it was Thursday when we arrived, the timing was perfect. The tango band was pretty good and it was especially nice on the hostels rooftop. The sunset and the views from here are stunning. 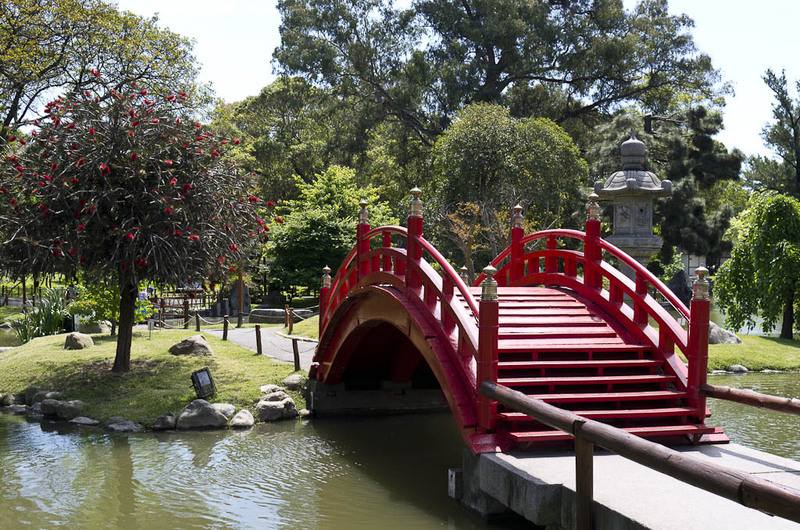 The next day was spent in the botanical gardens (which is free) and for a small cost you can also visit the nearby Japanese gardens. Both gardens are beautiful and worth it, if you are in the area. We had a small picnic and I made a great discovery, ensalada de frutas. It’s a fresh, mixed fruit salad and you can find it in a lot of bakeries and many kiosks. It’s super cheap, very fresh and a bargain. It’s been a bit of a challenge to make sure we are eating enough fruits and vegetables but the ensalada de frutas makes it easy for the fruits! Check it out if you are in the area. The Japanese gardens reminded me of the one in Brooklyn in Prospect park, only bigger. Very tranquil. After Buenos Aires, we are heading to the north part of Argentina and will soon be visiting many bodegas (vineyards) for wine tasting. To gain a bit more knowledge of the wines of Argentina, I signed us up for a tasting at the highly recommended Anuva Wines. It’s a little pricey so I was hoping it was worth the money. We were not disappointed. 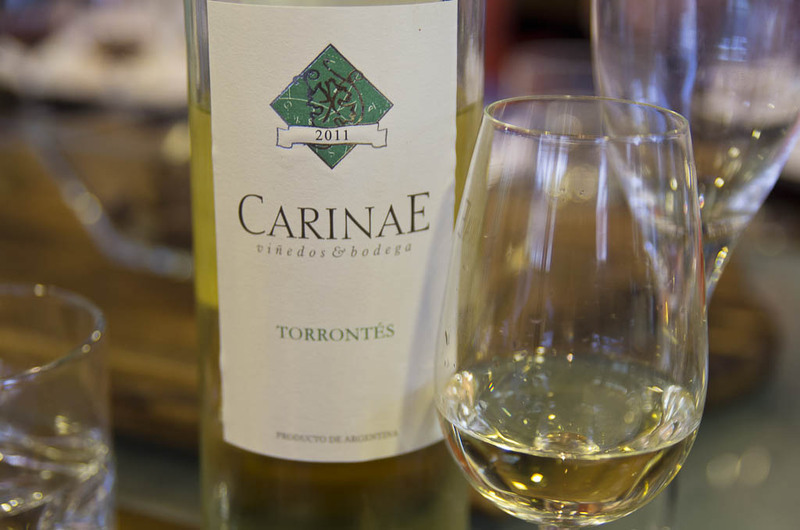 From Torrontés to Malbecs, we were led through the different wine regions and wines of the country. 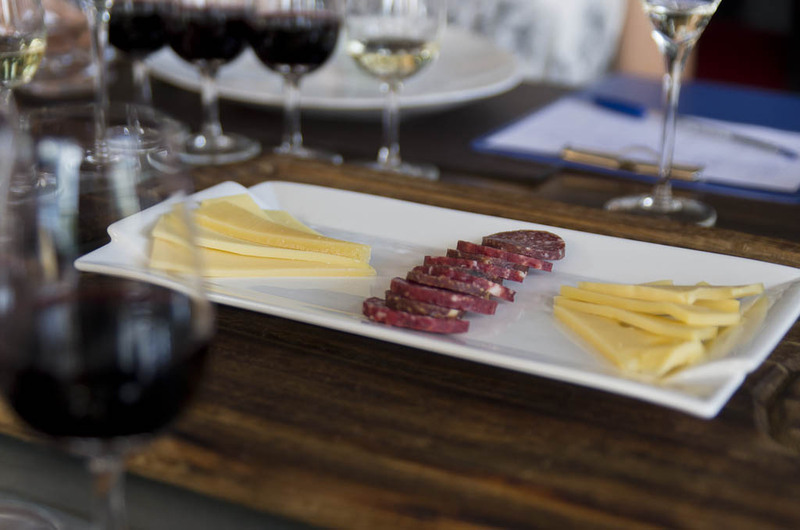 Each wine was paired with a complementing food bite. The tasting was given in English, all the wines were amazing and so was the food. 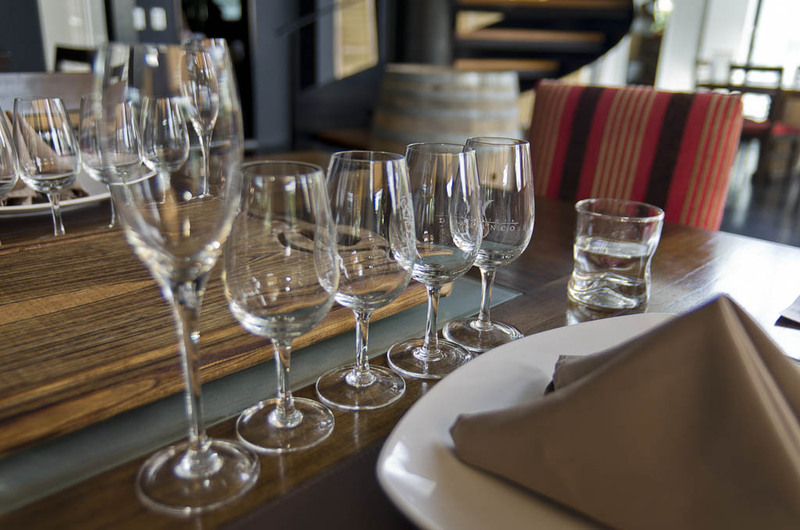 The wines we sampled were selected from smaller boutique wineries and therefore have a much smaller production. 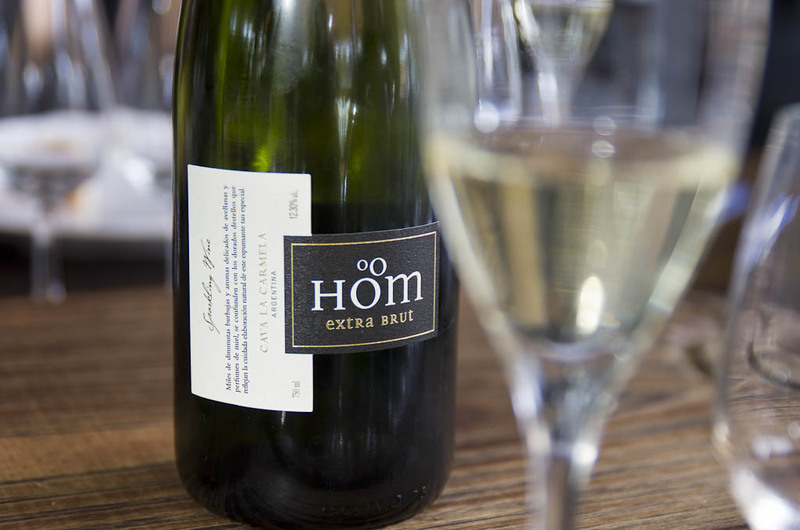 We started with a sparkling wine. 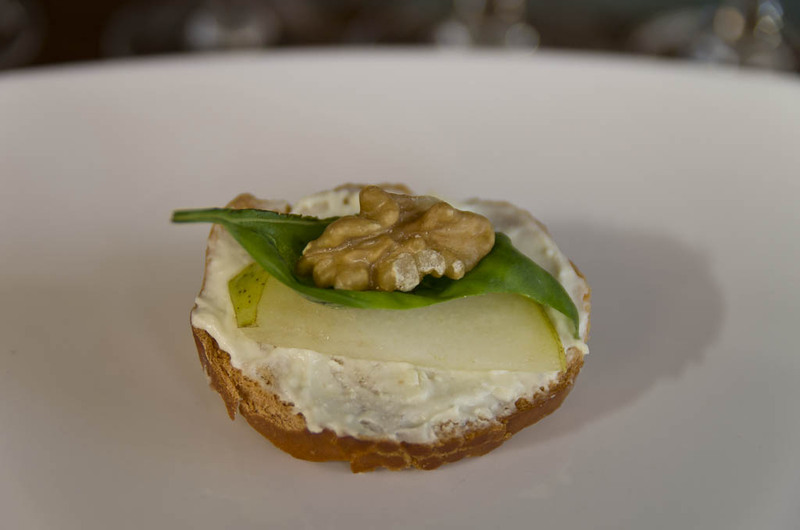 It was paired with a bruchetta topped with goat cheese, basil and walnut. 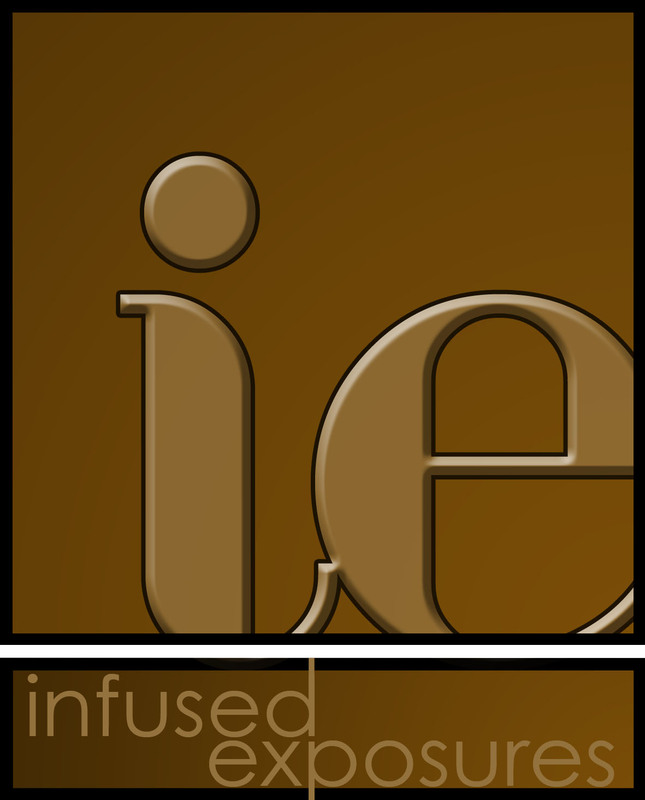 The combination of those flavors really brought out the slight nuttiness in the wine. We then moved on to a Torrontés. This wine was new to me but I really enjoyed it. I usually am not a huge fan of white wines but this one is exceptional. We will be headed to Cafayate in a few days, which is where this grape is grown and the wine is produced. I can’t wait! 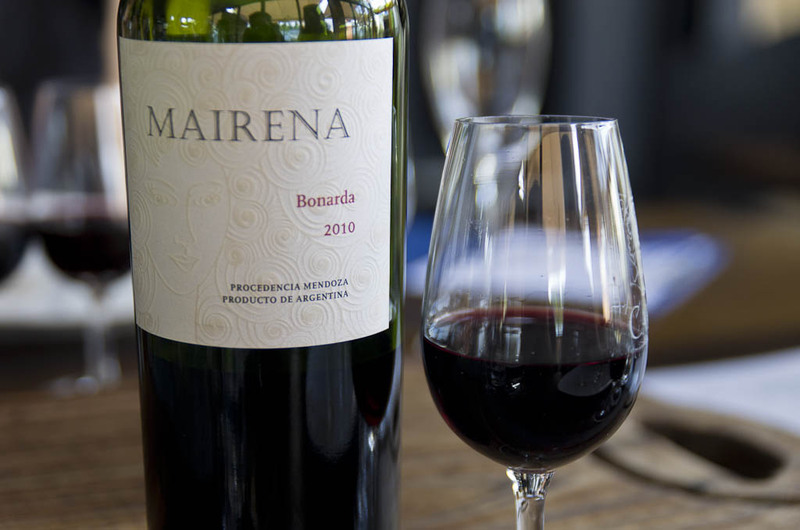 Then we moved onto the reds, I loved this one from Mairena but they were all tasty. Our last day in BA we spent walking around the city. We walked downtown to the pink house. 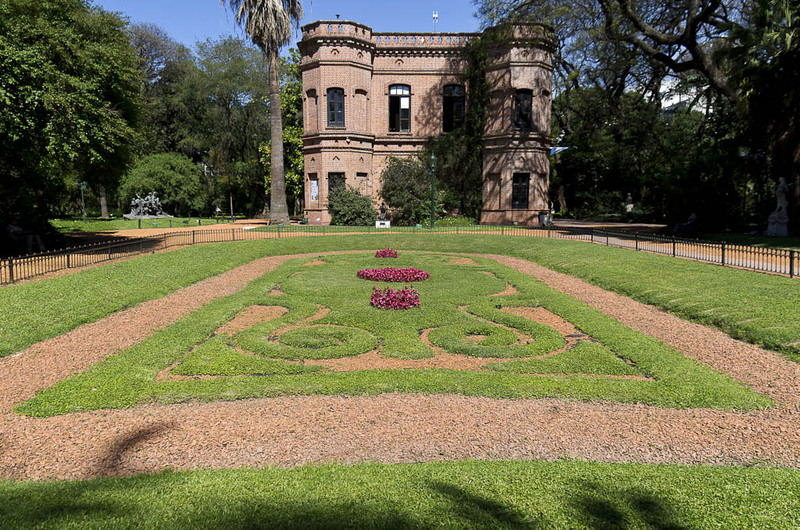 The pink house is where the Argentinan president lives. I like the pink house better than the white house because, well, it’s pink! We also discovered the neighborhood of San Telmo. 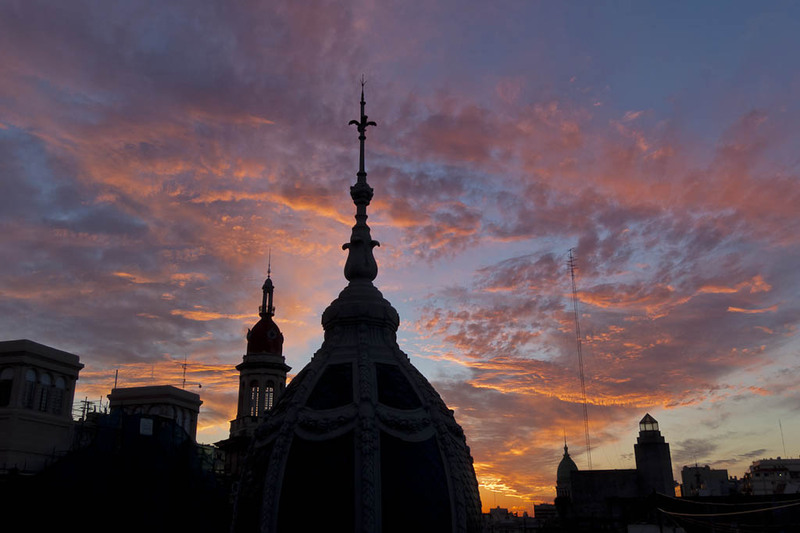 San Telmo is the oldest neighborhood in BA. The architecture of the buildings are much different here and unlike the downtown area where you find architecture similar to Paris, San Telmo has more of an old, colonial feel. 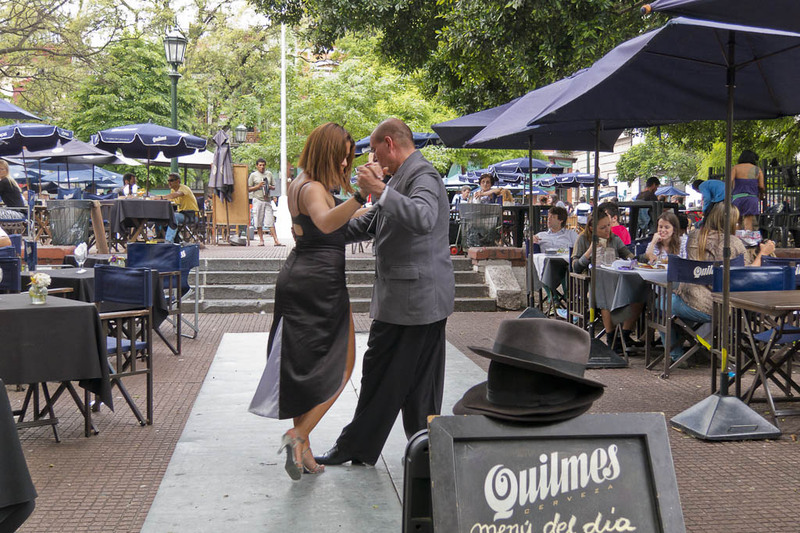 We walked the cobblestone streets and were treated to antique stores, ancient looking parillas, old fashioned cafes, craft markets and even a tango show in San Telmo square! And of course we ate more ice cream. We stopped at one of the old parillas for lunch and ate an amazing choripan. 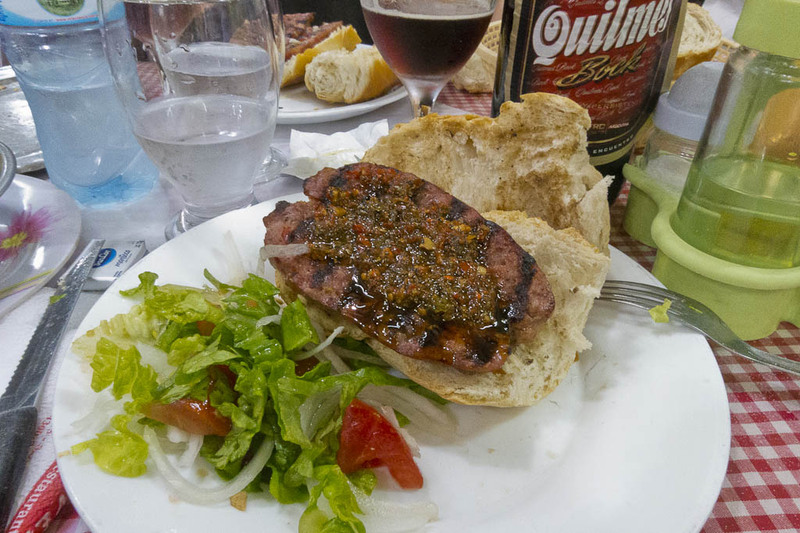 Choripan is basically chorizo with bread. It makes a very cheap, very filling and very tasty sandwich, especially when topped off with tons of chimichurri. 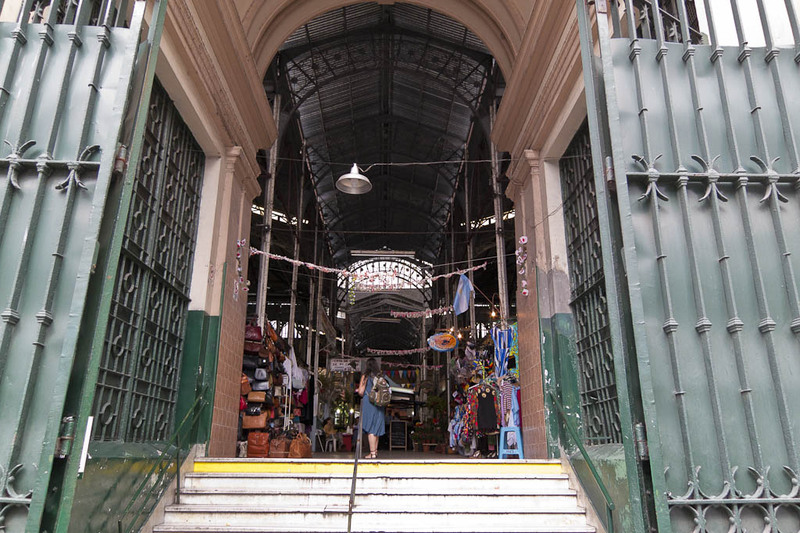 If you are in Buenos Aires, you should not miss walking through this historic and beautiful barrio (neighborhood). 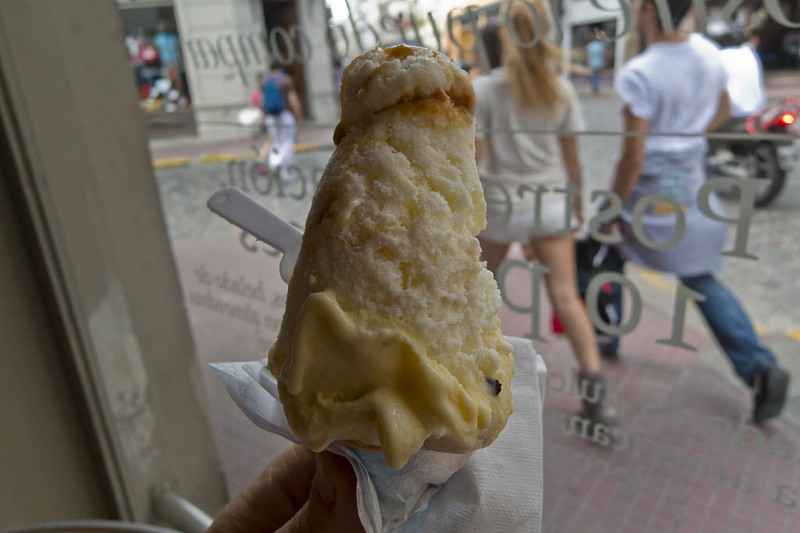 We were so glad to be back in Buenos Aires just so we could experience this. 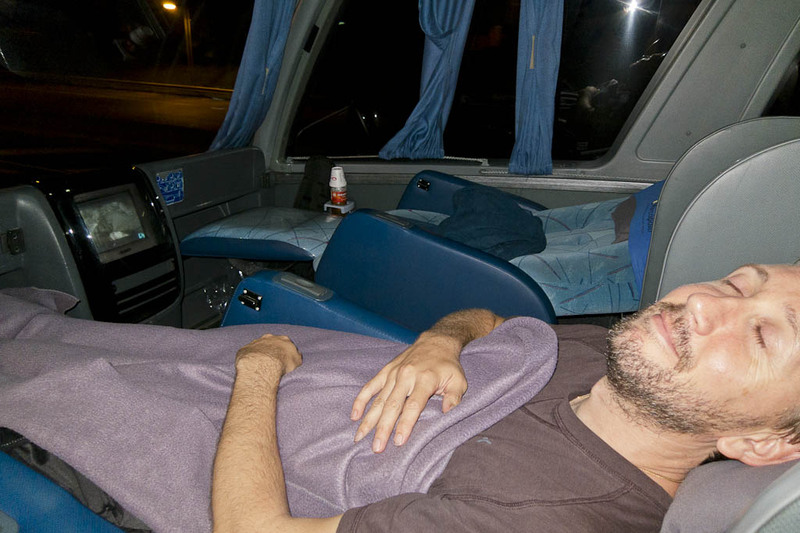 That night, we took an overnight bus which I am now a certified, huge fan! I know I have already gone on about how much I love the buses in Argentina but this time we splurged about $20 more and got a suite! So I absolutely have to tell you about it! The seat went all the way back, completely flat and we were even given a pillow & blanket! We were on our way to Cordoba, where we would spend one week couchsurfing and exploring the city. We arrived to Cordoba the next morning, very refreshed after a great nights sleep on our plush “bed”. All for about $50. If you have never considered a night bus, now is the time to do it. You save a night spending on accommodation and you get to sleep on a comfortable bed.